Mother’s Day is right around the corner. Have you already gotten your gifts or do you need some help deciding? 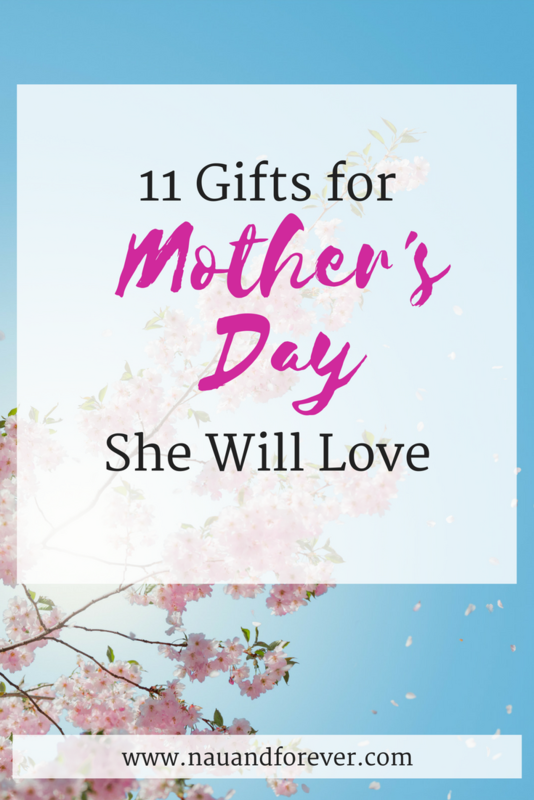 If you looking for the perfect gift for the Mom in your life, then check out this list of 11 Mother’s Day gifts under $30. The following post contains affiliate links. I will make a commission if you make a purchase at no extra cost to you! What Mom doesn’t need some relaxing “me time”? Get her this diffuser and include some lavender essential oils. She will love it! How adorable and cozy does this mom life shirt look? This Lily Pulitzer notebook is gorgeous for all those organized, or wannabe organized (like Me! ), Mommas. This book is perfect for the Mommas who love celebrating girl power! I think we all know a sassy Mom who would love this book! This to do planner is perfect for the Lily Pulitzer fans! This trinket dish will look beautiful on any Mom’s bathroom counter or nightstand. This adorable reusable bag is perfect for groceries and farmer’s market finds. Remind her how important self care is and let her pamper herself with an overnight mask. 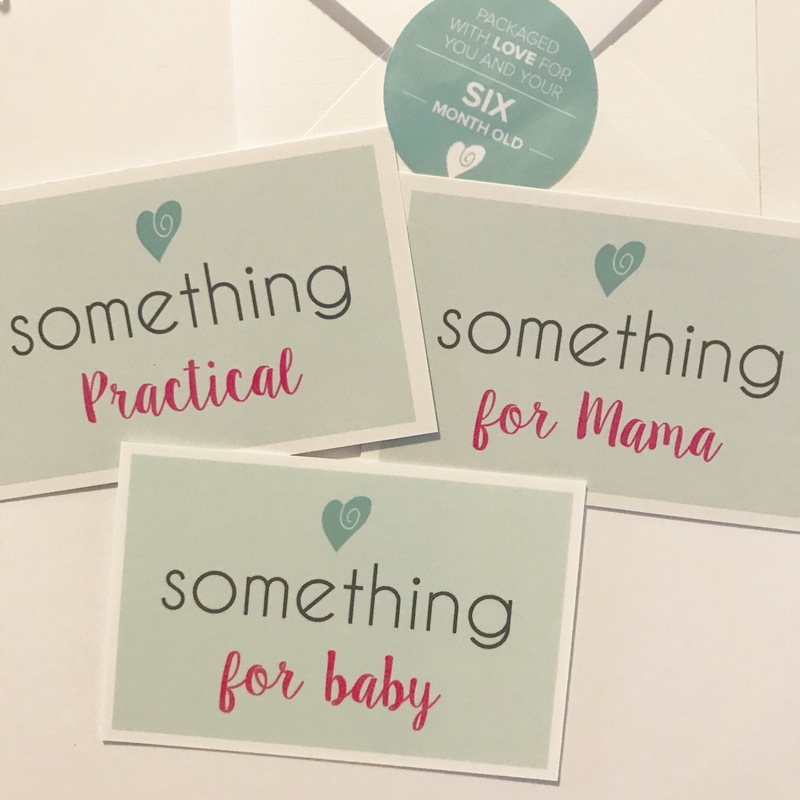 The Ecocentric Mom Care Package is a perfect gift for the new (and exhausted) mom in your life . Ya’ll know my obsession with Self Care for Moms. Gift her with some “me time” with The Oxford Momma Box. 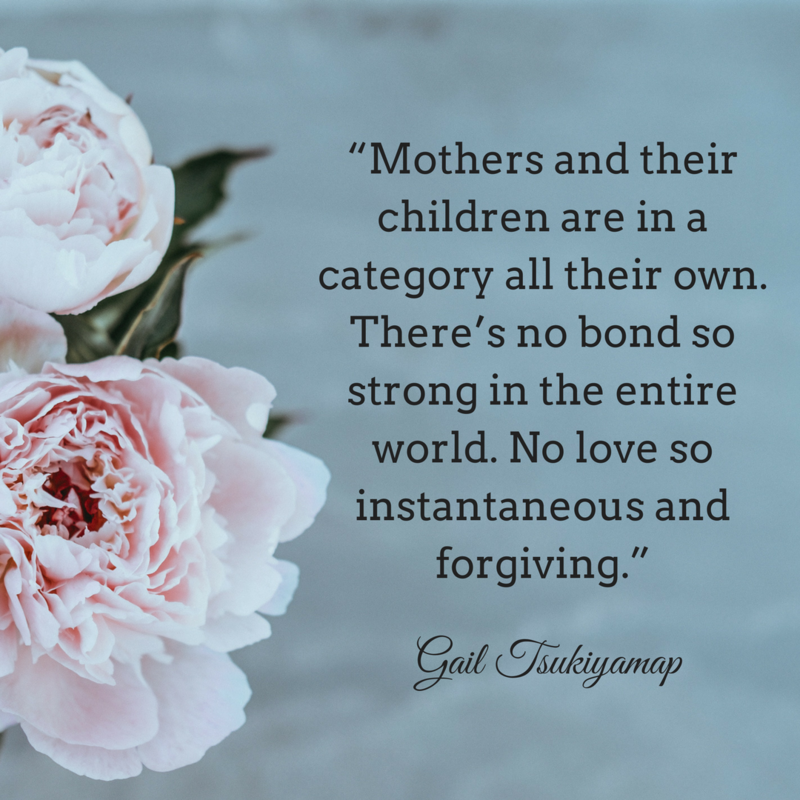 How are you spending Mother’s Day this year? 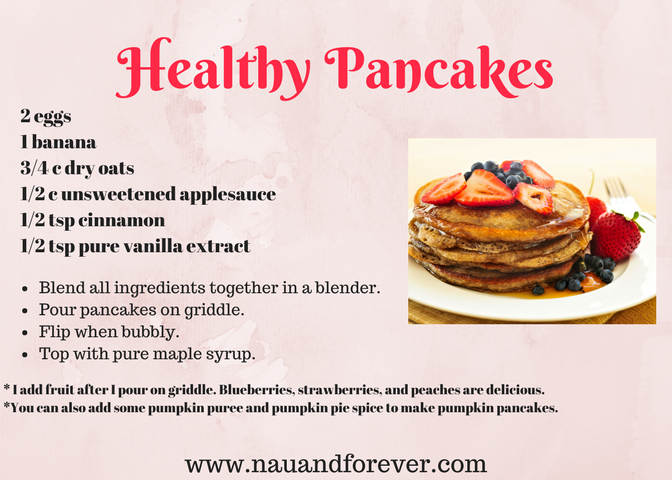 I’d love for you to comment and tell me your plans! Are you struggling with SEO? 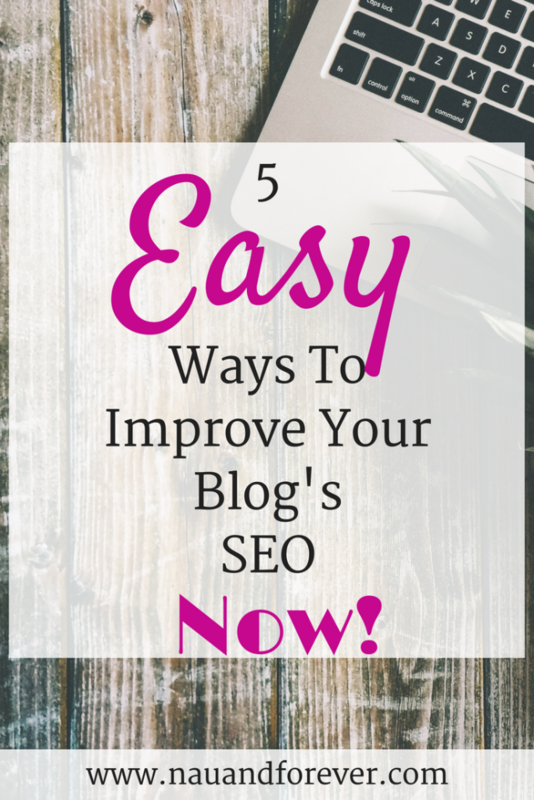 Here are 5 easy ways to improve your blog’s SEO now! PaperMart is a family owned business that supplies food, retail and industrial packaging and so much more. Learn more about what they offer here. This post contains affiliate links. I will get a commission if you make a purchase at no extra cost to you. I only recommend products that I love. I have been a Pinterest user for years. Actually, more like a Pinterest hoarder! When I began blogging, I had done so much reading on what I needed to do. After focusing on 10 things at once, I decided to back off and put the majority of my energy into one platform. I chose Pinterest. Having read another 857 articles about what I needed to be doing on that platform, I decided to stop reading and start doing. The first week, I did nothing but stare at the blank screen with a feeling of overwhelm which I had become quite used to over the last few months (Blogging can be crazy overwhelming, am I right?!). Finally, I dove in and started scheduling pins. The default gave me 3-4 scheduled pins per day. Along with the scheduled pins, I began to manually pin about 20 pins today (which wasn’t much more than I had typically been pinning). I went with the 80/20 rule. 80% others, 20% my own. I would pin from my blog to my main Nau & Forever Blog Posts board, then from there I would pin to other appropriate boards of my own as well as group boards. 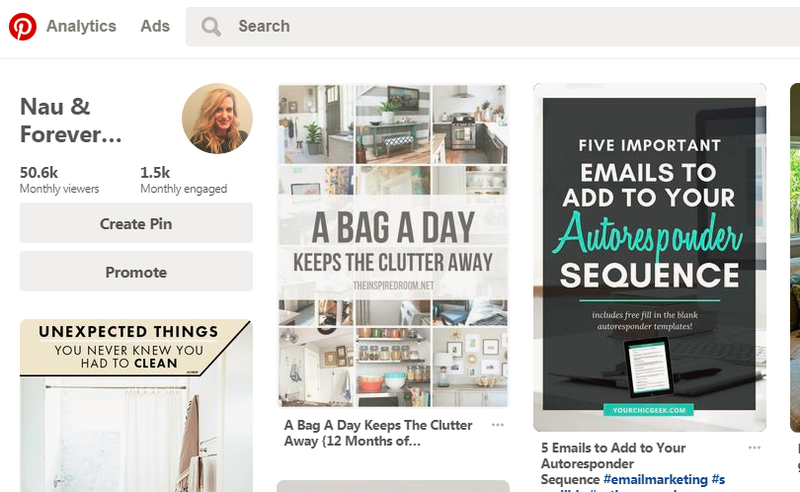 Want some free Pinterest tips that I have put together? Get access to my free printables library and download your copy along with some other great printables! When I began in January (1/31/18), my average monthly viewers were 13,673, with an average engagement of 289. March 16, my average monthly viewers were 41,882 (average engagement: 1,402). April 8, I had 51,700 monthly viewers (average engagment: 1,500). Now, to some people, this may not be a lot, but to me, I was super pumped! I took a dip at the end of March (like many bloggers) but as you can see, things are moving right back up. Should you put all your eggs into the Pinterest basket? Absolutely not! BUT, from my experience, you should totally be utilizing this platform. The majority of my traffic comes from Pinterest. These results are my personal results, but Tailwind publishes the Typical Results of Tailwind for Pinterest Users so you can see what the average growth rate looks like for all of their members. 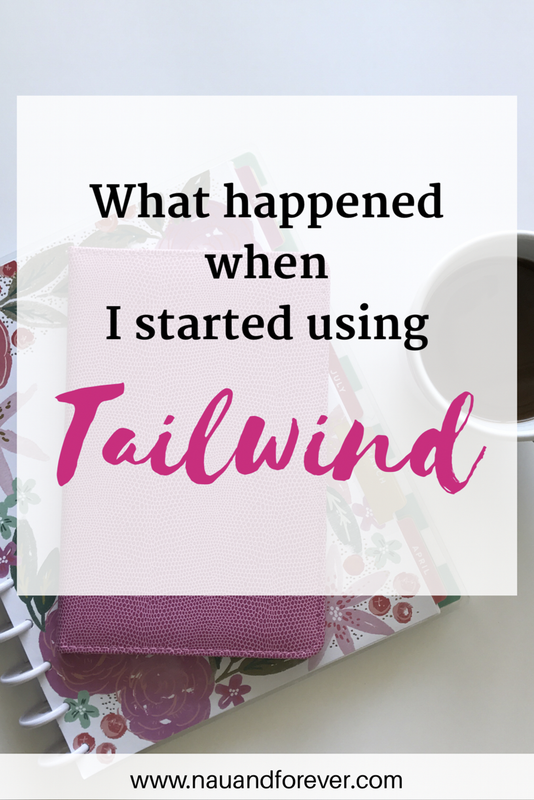 Want to Try Tailwind for Free? Silly question, I know. You can try Tailwind and get your first 100 pins FO’ FREE. Tailwind now offers Instagram scheduling to help make our lives easier too! Want to know what my favorite tools are for bloggers? Check out my Resources page where I update all my favorites! The following post contains affiliate links. I will receive a commission if you make a purchase at no extra cost to you. I only recommend products and services that I love. There are several subscription boxes available. You can get everything from razors to clothes to food to wine and everything in between. 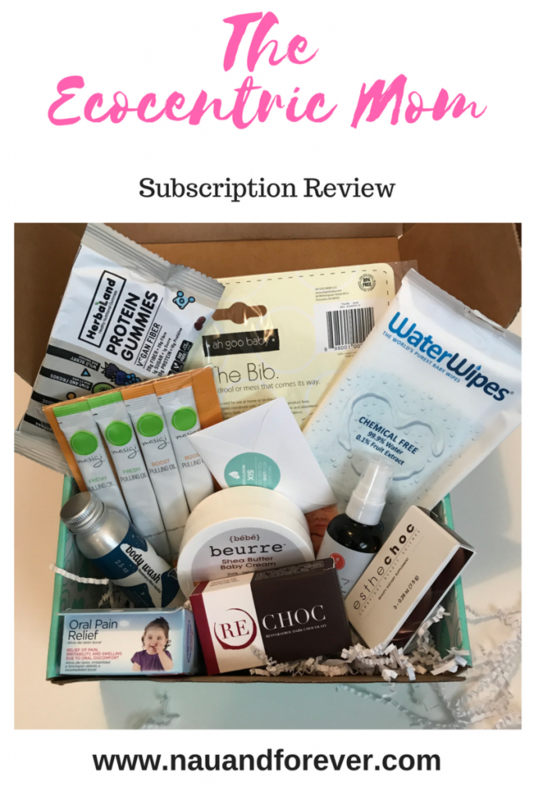 When I discovered The Ecocentric Mom Subscription Box, I knew it was something I had to try. Who is the Ecocentric Mom? The Ecocentric Mom is a mom who loves natural, organic and eco-friendly products. The boxes can be customized depending on mom’s stage of motherhood from the first trimester to age 4+. They don’t include just any products in the boxes. Each product must meet The Ecocentric Mom’s high quality standards so you know what you are getting is amazing! The company also gives back. A portion of their sales (1%) goes to a worthy charitable organization. In 2017, that particular charity was Keep a Breast Foundation. I was so excited when that pretty teal box arrived in my mailbox! The box that I received was customized for me and my 6 month old. Included are cards that show the price of the products so if you want to go back and get more, you totally can. Check out this awesome selection of products! What Was in the Box This Month? Each box shipped will contain 4-5 items guaranteed and will retail for a minimum of $45. I absolutely love that they include a small envelope with product cards. I think it’s so important for companies to add those small, personal touches. My Favorite Item for Me! Duh! The chocolate! That’s pretty much a no brainer. Chocolate is definitely my weakness and if you call it a “chocolate beauty bar”, I’m in! I am also a fan of the Masigi pulling oil packets. They are super convenient. If you don’t know about the benefits of oil pulling, you need to check out all the amazing benefits. My Favorite Item for Baby! Baby M has been teething like crazy! I’m pretty sure all of her top teeth want to pop out right now. Hyland’s oral relief tabs have been a Godsend. 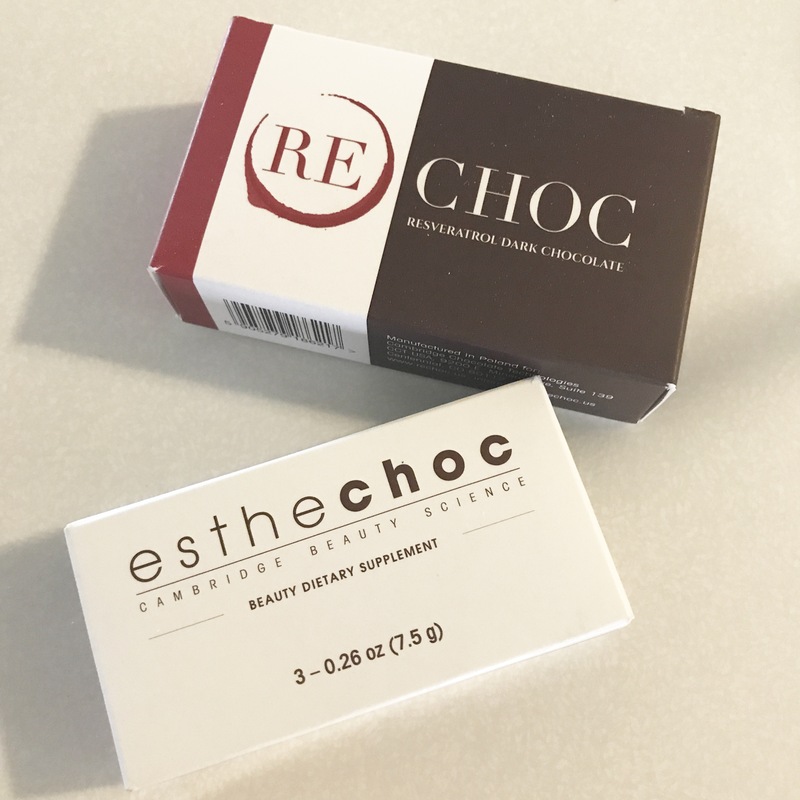 I used them with the twins and was so happy to see them in the Ecocentric Box. Ya’ll! 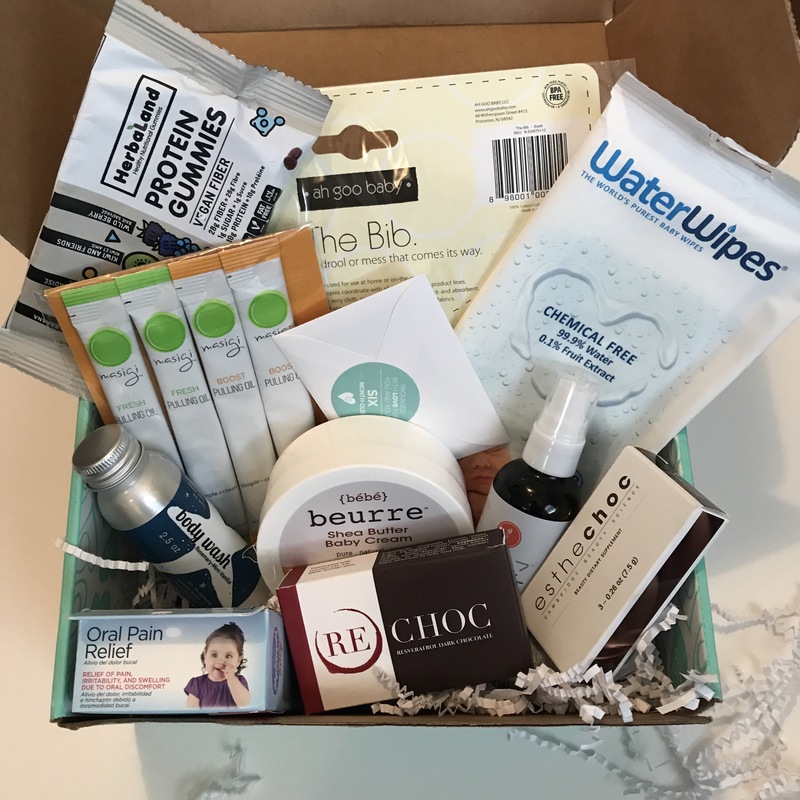 I loved everything about The Ecocentric Mom Subscription Box. 90% of the products in the box were products I had never heard of, so I was so excited to try all them. Gift yourself Momma because you deserve it! Mother’s Day is right around the corner! Hint! Hint! Use code: SAVE5 and get $5 off your Ecocentric Subscription Box here! 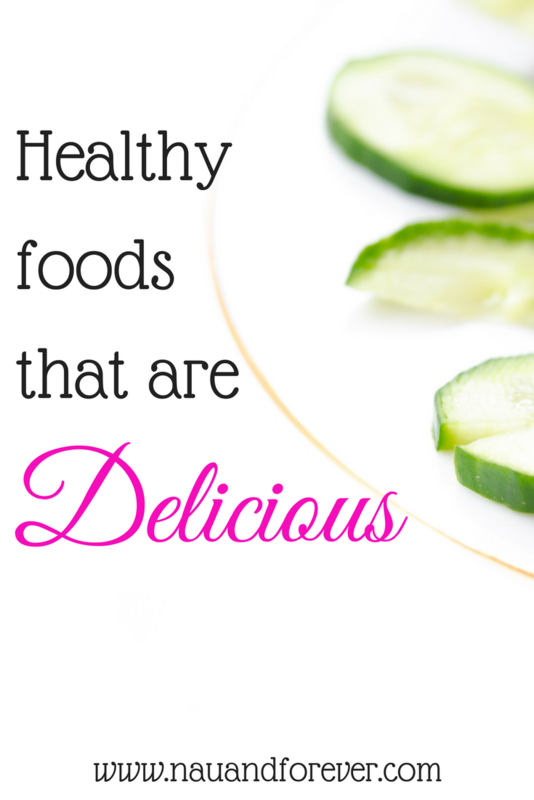 Check out my other favorites for new moms! Laura received The Ecocentric Mom Subscription Box in exchange for her honest review. All opinions are her own.